Swedish Men’s Fashion Blog leads us to update our bathroom cabinets with the best of the season, including a Czech & Speake luxury Manicure Set. The Set Featured is the Black and Red 8 piece manicure set for men, bound in long grain leather. The instruments are Teflon coated in a beautiful masculine matte black and produced in Solingen, Germany. 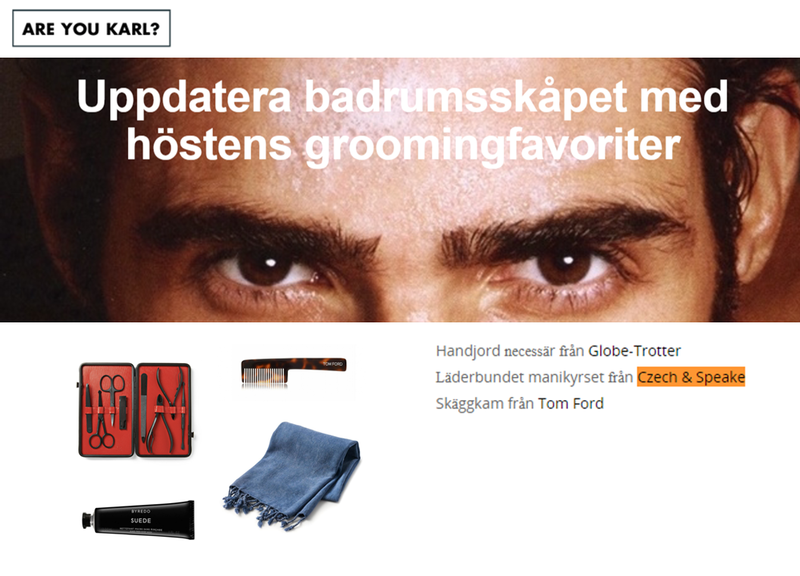 Uppdatera badrumsskåpet med höstens groomingfavoriter is the Swedish translation of “Update the bathroom cabinet with the autumn’s grooming favorites”. Check the article in Swedish here. Thank you for the feature, love your products!